The HN7506EBC HN-7506 High-Noise Headphones with Electret Boom Mic from Remote Audio are an ideal companion for sound mixers working in high-noise environments such as helicopters, firing ranges, rock concerts, and more. The headphones use Sony MDR-7506 drivers with special baffling to provide industry-standard monitoring accuracy, while offering a high degree of hearing protection. 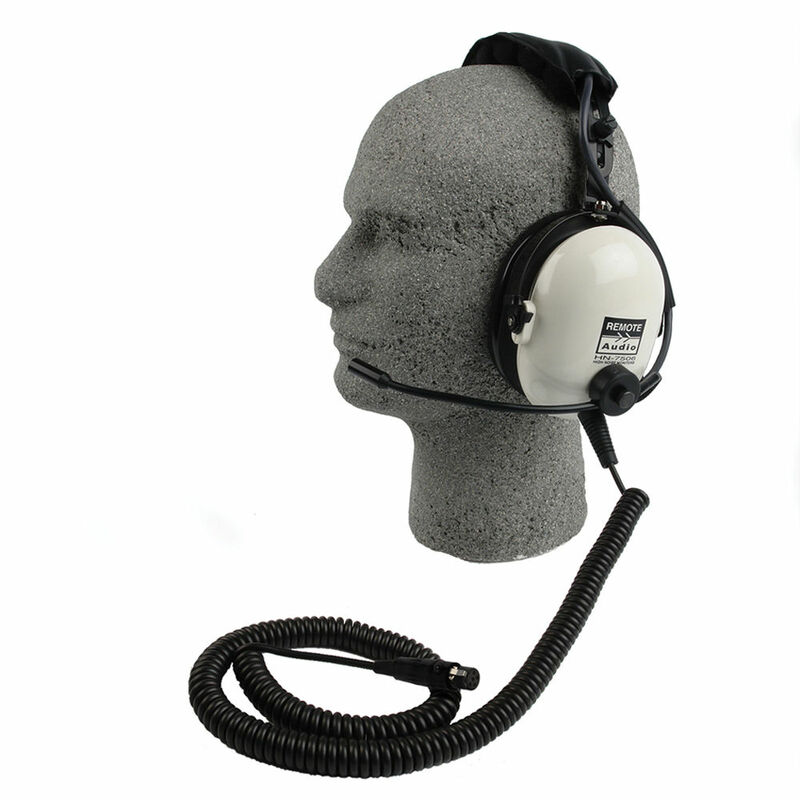 The closed-back earcups and thick around-ear cushions aid in blocking out noise and providing comfort. The thickly-padded headband is adjustable to fit virtually any head size. The electret talkback mic is on an adjustable boom arm, which allows precise positioning for clear vocal pickup. The single-sided coiled cable reduces tangles and provides a variable amount of slack to give you flexible mobility. The cable has a TA5F connector for compatibility with a variety of systems and devices.